Modern Freeform Cross. 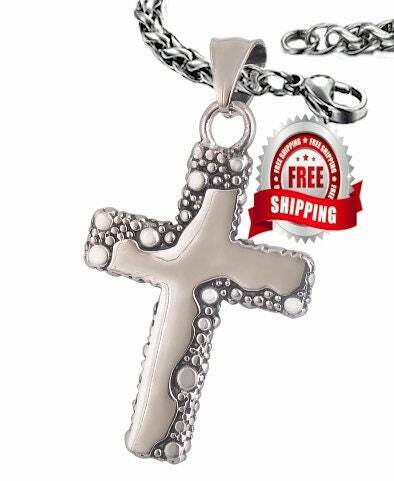 This high gloss Stainless Steel Cross is both elegant and truly beautiful. 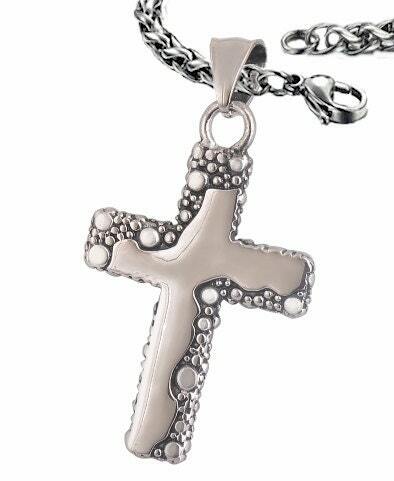 Hand Polished Classic Cross Casting in Stainless Steel will hold it's luster for many years to come and will not tarnish. This is a Freeform casting and may vary just slightly from the picture. 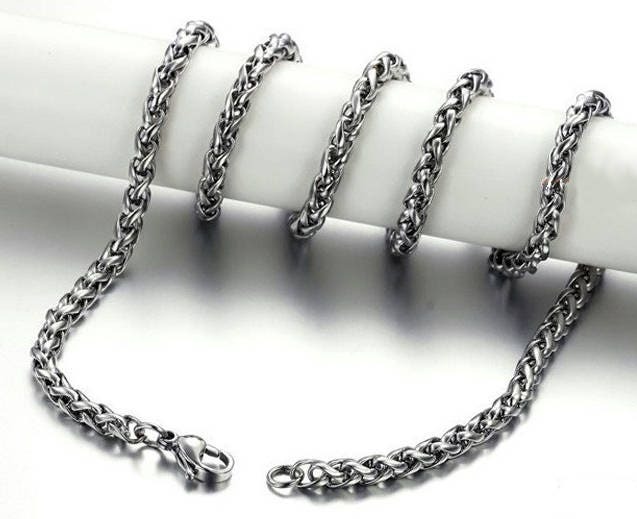 BONUS: This fabulous looking Freeform Cross comes with our exclusive 4mm x 20" all Stainless Steel Braided Chain. 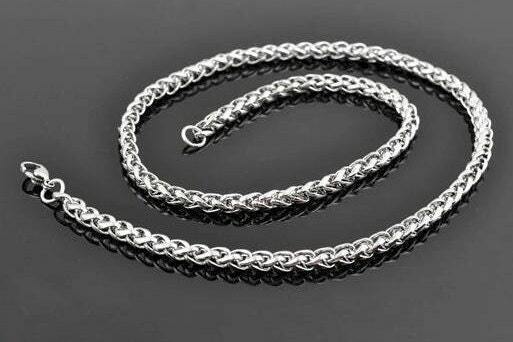 This chain has a positive locking lobster clasp. Cross measures 1 1/8” wide x 1 3/8” long.